Yoga as a way of life was devised and brought to perfection a few centuries ago, and since then has long been followed and practised in various parts of India. It refers to a set of traditional physical and mental practices that help you gain control over your body as a whole. A regular practioner of yoga is often called a yogi. It also forms part of the six basic schools of Hindu mythology. It is majorly divided into five branches. Ashthanga and hatha yoga form part of those five major branches. This article is aimed at readers who wish to know more about these two specific branches of yoga. Ashtanga yoga is believed to have originated from the ancient text of Yoga Korunta. Ashtanga yoga focuses on the vinyasa method of yoga. In this method unlike other styles focus is also given to the time between the changing of postures. Basically one’s breath holds control to the changing of postures and the time in between it. Ashtanga yoga consists of six specific postures always followed and practised in the same order and controlled by fixed breathing patterns. The basic purpose of vinyasa is to generate heat in a person’s body which leads to better blood circulation and also sweating. It helps in increasing body flexibility and increases tissue and tendon strength. These also help in reducing injury risks when a student practices higher levels of yoga. Apart from the basic vinyasa, ashtanga also consists of higher level practises such as Bandhas, Drishtis, and Mantras etc. Hatha yoga is possibly the most popular form of yoga today. It was introduced by Yogi Swatmarma in the 15th century in his compilation ‘Hatha Yoga Pradipika’. Hatha yoga basically lays foundation for the physical purification of body that prepares the student for higher levels of meditation. 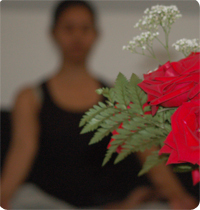 Hatha yoga is amongst the two branches of yoga that focus on physical exercise, the other being Raja Yoga. It is an attempt to bring about a balance between the mind and the body through physical postures known as asanas, breathing exercises, body purification and through meditation and mental and physical relaxation. Asanas help in increasing physical strength and balance and improve body’s physical health. lanceaksh. "Difference Between Ashtanga Yoga and Hatha Yoga." DifferenceBetween.net. November 1, 2009 < http://www.differencebetween.net/science/health/difference-between-ashtanga-yoga-and-hatha-yoga/ >. This is an excellent post which explains the difference between ashtanga and hatha yoga in simple terms.